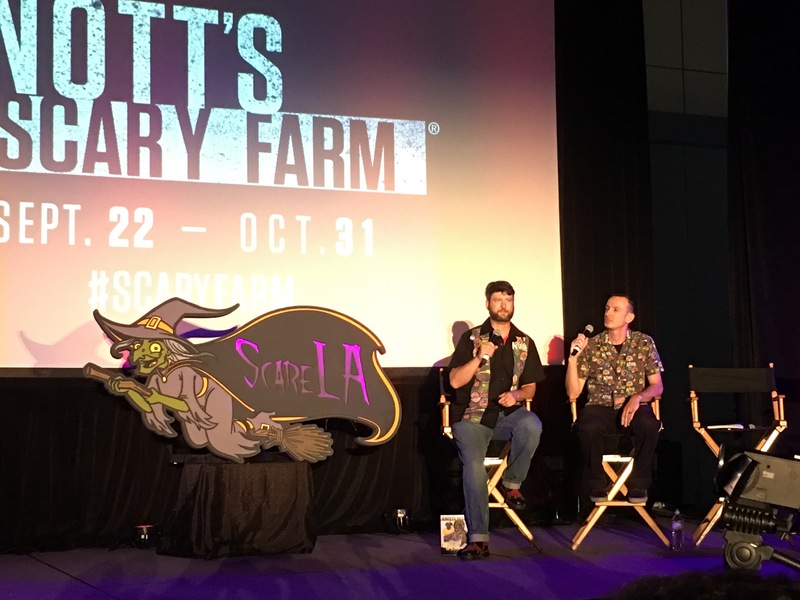 One of the things we’re the most excited about at ScareLA is The Dark Ride Project. The Dark Ride Project is an attempt by artist Joel Zika to document historic dark rides, using the latest technology. 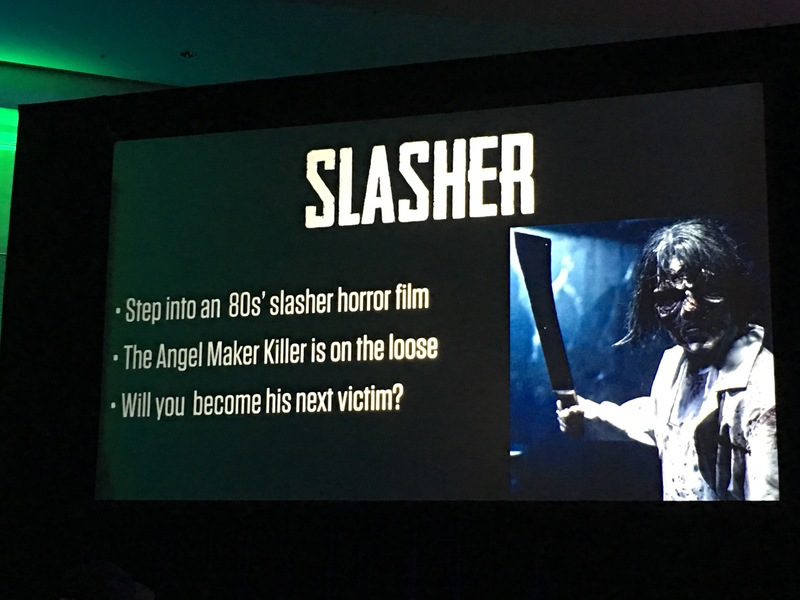 Here’s more from the ScareLA press release. 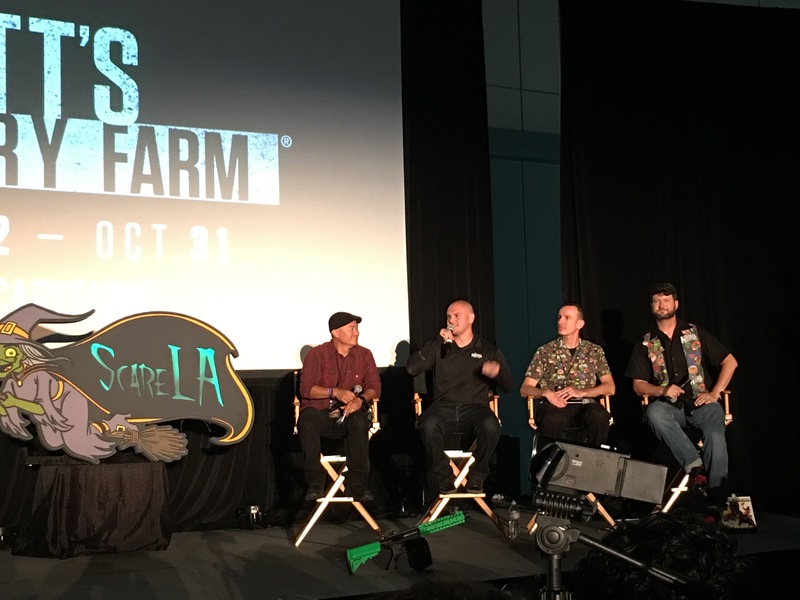 Stay tuned to AHH to hear more about The Dark Ride Project and ScareLA. Be sure to follow us on Twitter, Facebook, and right here on our site. Pulling up to a convention center and seeing several hearses parked out front, one might think that someone has died. 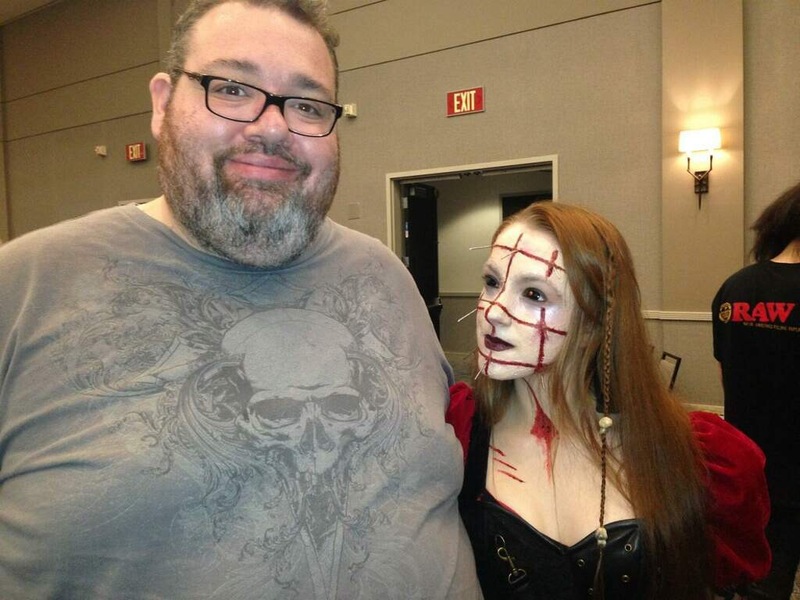 To the horror world, it’s just the beginning of The Days of the Dead Los Angeles Horror Convention at the Burbank Marriot Convention Center. 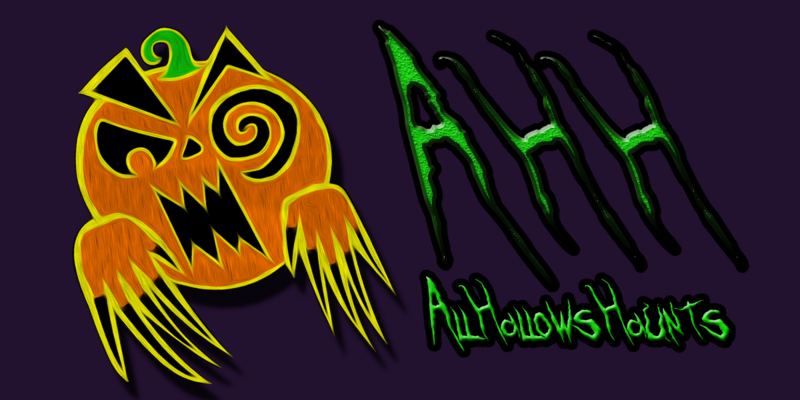 Being the huge horror nuts we are, the All Hallows’ Haunts team had to to and check things out. 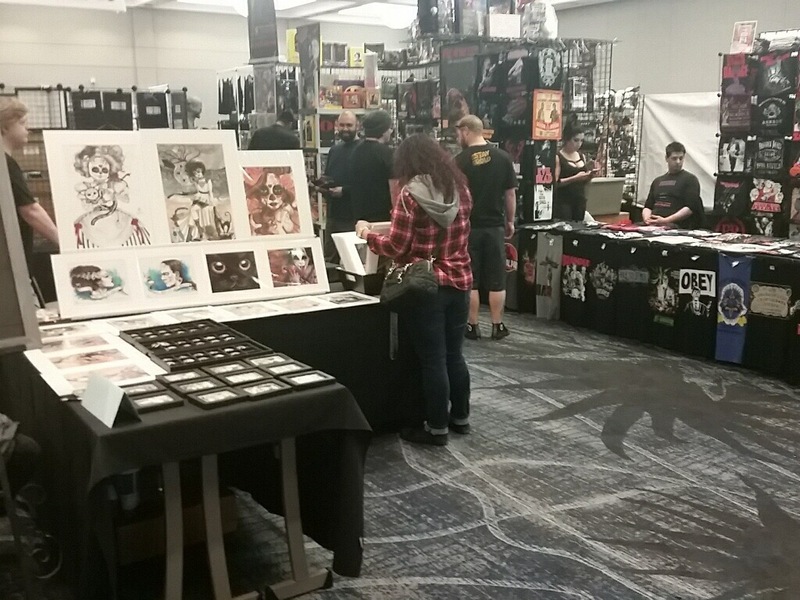 Like most conventions, you have a series of vendors specializing in certain goods that cater to the fan base. Obviously with this being a horror convention, there was a mass collection of horror collectibles, replicas, movies and clothes. We felt like children with A.D.D. with so much awesomeness to look at. We didn’t know what to look at first. May we just say that the horror art work was elaborate, impressive, and gorgeous. One of the most important panels of the entire weekend was the Etheria Films panel, which consisted of all female horror directors. They spoke of the importance of women film makers and how crucial this movement truly is to the film world and to our culture. 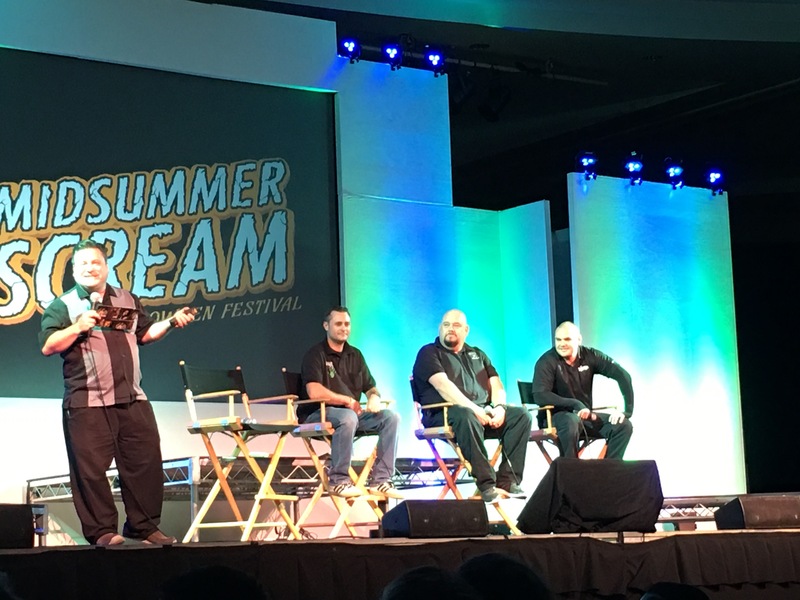 As awesome as Days of the Dead is, the convention has some flaws. There was not nearly enough to do or see to warrant the $35 ticket for admission. 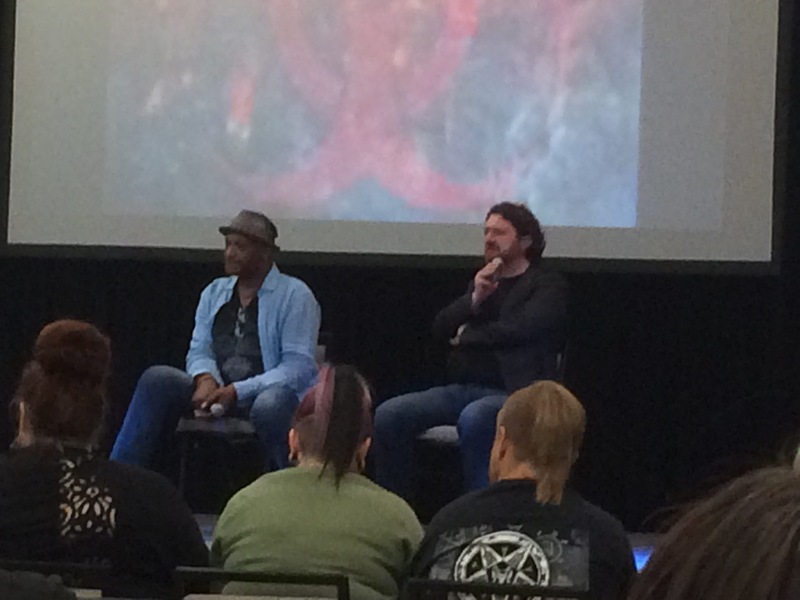 There were very few panels, the vendor’s hall was small and over crowded (As the vendors had to share the same space as the celebrity autograph tables), and parking was ridiculously expensive ($21 for the day!). The worst part was that there were so many fans. It was too crowded. We have to wonder if the convention organizers didn’t think they would have the turnout they did. 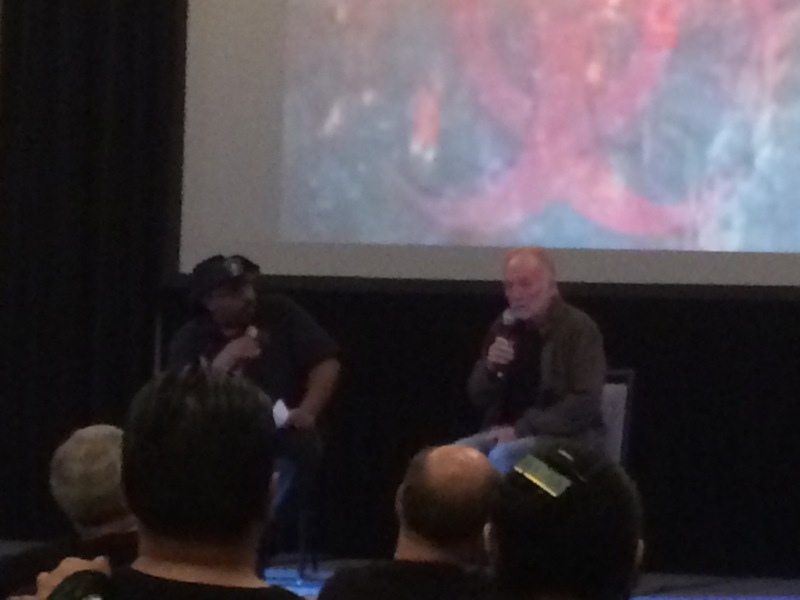 There were definitely some missed opportunities at Days of the Dead. Hopefully they will see how much potential there is for the convention and how big it could be. We pray this won’t be the last Days of the Dead Horror Convention in Los Angeles and it will get bigger in the years to come. Overall, we had a great time, but we wanted more. SPOILER WARNING! This review contains a brief synopsis of the film. If you haven’t seen the movie and wish for it not to be spoiled, watch the film and then read. If you have seen it, read the review and watch it again! Ryan (Chris J. Murray), his wife Emily (Brit Shaw), and their young daughter Leila (Ivy George) are just finishing decorating the house for Christmas, when Ryan and his brother, Mike (Dan Gill), find some old VHS tapes and an old video camera that has been altered. The camera has the ability to pick up fragments floating in the air. The family notices that Leila begins to act strange and begins to talk to an imaginary friend, Toby. As the days grow closer to Christmas, Ryan and his brother watch the videos, which are of Katie and Kristi, (the original victims of “the activity”) as they are trained to serve Toby. It’s also during this time that weird things keep happening around the house and the camera is beginning to pick up more and more things. Ryan observes that in the videos, Katie and Kristi are able to see into the future, even describing Ryan watching the tapes. It’s at this point that Leila’s behavior really starts to change. With Leila’s behavior becoming more erratic and Toby growing more violent, the family seeks the help of a priest. The priest determines that Leila is being manipulated by a demon of some kind. The family then learns that the house they live in was built on Katie and Kristi’s old house before it burned down and that the real estate agent who sold them the house was actually, adult Katie. Realizing that the family may have been set up and that the ghost is getting more and more dangerous, the they try to flee the house, but Leila sneaks back and actually enters a portal in her room. As Toby begins to attack the family more frequently, the priest returns to perform a type of exorcism on the house that will remove Toby. As the family prepares and attempts to trap Toby, the demon attacks and kills the priest. After taking over where the priest left off, the family is finally able to trap and rid themselves of Toby. With Toby gone, Leila turns back to normal… or so it appears. Suddenly, Toby returns and begins to kill the family. Leila escapes back to her room and enters the portal. Emily chases after her, and discovers that the portal took them back to Katie and Kristi’s house in 1992. Emily frantically searches for Leila, being taunted by children in the process. Emily finally finds Leila in the garage and they immediately hide from Toby, who has now grown strong enough to take a physical form. In the final scene of the movie, Toby grabs Emily by the throat and strangles her to death, then takes Leila by the hand and walks away. Being the sixth film in any franchise, there is always the concern of “will the film stand up to the rest in the series?” Films 2-5, while introducing the elements of the family story, the witches and the marked ones, relied way too much on many of the same tricks and ideas of the original. There are only so many ways to build the suspense and scare the audience with the antics of Toby (That’s the name of the demon, for those not familiar with the series.). However, this film definitely raises the stakes and changes the formula by now showing the activity through the special camera. This is the real first time, outside of the occasional shadows in the past films, that you actually see the activity in a physical form. This element changes the formula of the film enough to help it stand out from the rest of the films. I also found the addition of the time travel aspect of the story to be very interesting. I wasn’t expecting for a doorway to be opened that traveled to the past. Throwing in something like that could ruin a plot line for a movie. However, I felt that it was used in a great way that did a fantastic job bringing the entire story of the franchise together. Yet, is time travel and showing the activity enough? While it makes for an interesting change to the overall franchise, there is definitely a loss of suspense with the movie. The audience is more interested in seeing the ghost/demon move rather than being scared or intrigued by the story. The acting in the film is good. Like the others in the series, and as for most “Found Footage” films, there is a degree of improvisation. This gives it a more “real world” look. No one really stood out in a great or bad way. The kid is creepy though. The big loss to me in this film is that it’s only one in the series to not feature actress Katie Featherston as Katie. While her character appears in the film as a child, it was a real disappointment not to see the actress in this one. She has been integral to all the main entries, especially the first film. 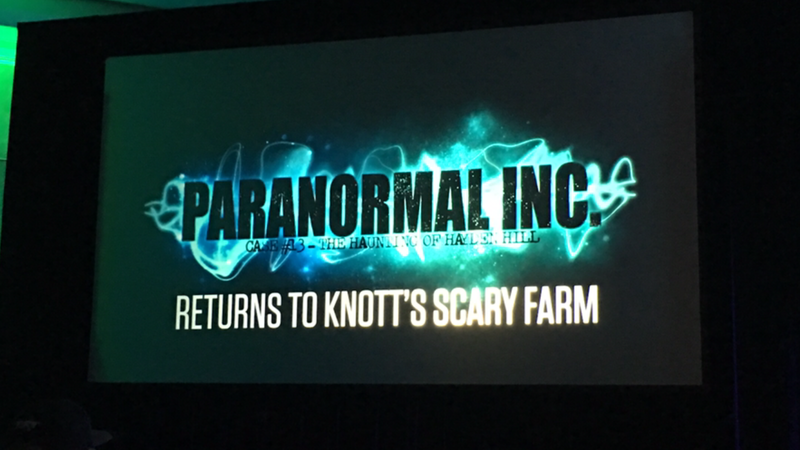 The Paranormal Activity franchise has been one of the most successful film franchises in recent years. The first film was released nation wide in 2009 and there was a sequel released almost every year until the final film in 2015. In terms of success, all the films combined have made almost $900 million, on a combined budget of under $30 million. Paranormal Activity: The Ghost Dimension had the largest budget in the series, $10 million. The thing about “Found Footage” horror movies is that they are either really good or really bad. We keep getting drawn to them because the ones that are really good, use the film style so well that we want to see more. As a result, we willingly try other films. 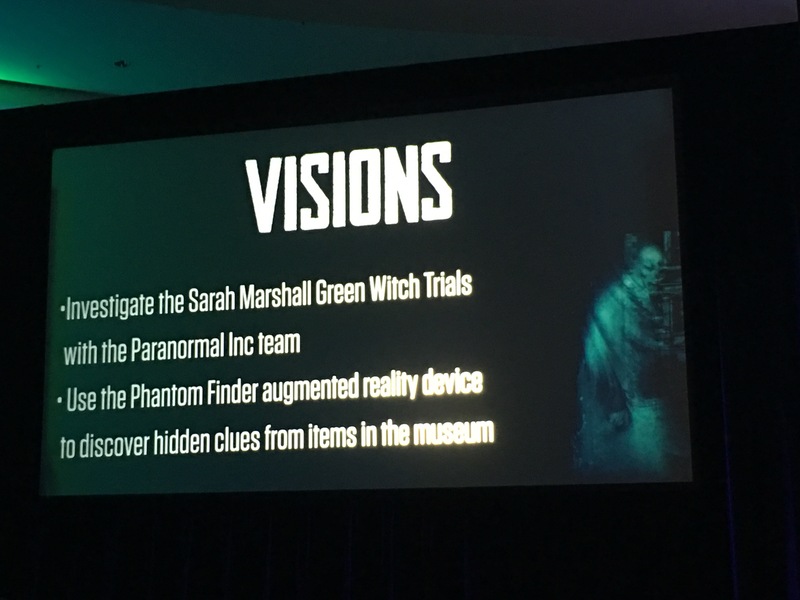 Paranormal Activity: The Ghost Dimension and the overall Paranormal Activity series have been one of, if not, the most successful franchises to use the “Found Footage” technique. They have found a way of making a difficult technique fun and successful. Overall, Paranormal Activity: The Ghost Dimension is an okay movie. It’s different than the other films, better than the other sequels in the series, but it is nowhere as good as the original, and for me at least, there isn’t much of a re-watch value. It’s worth watching, but not more than once. SPOILER WARNING! This review contains a synopsis of the haunt, Séance. 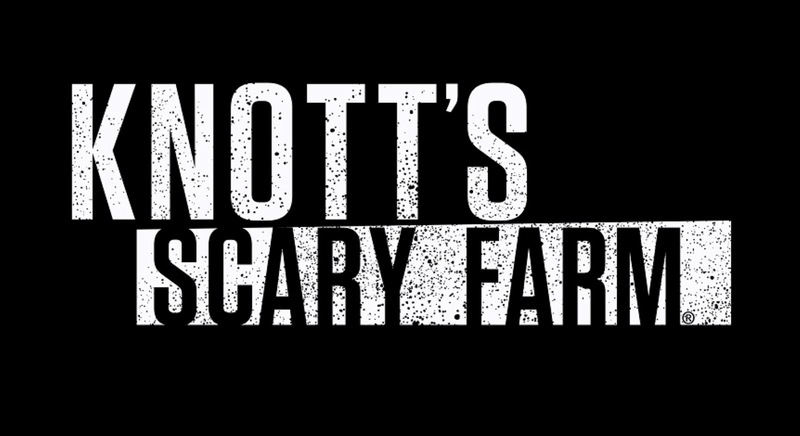 The gang here at All Hallows’ Haunts headed out to Brea, California this weekend to experience the latest adventure from Sinister Pointe Productions. (www.sinisterpointe.com, @SinisterPointe )- Séance. Séance is a live interactive event where attendees join Medium Scott Michael, as he opens a gateway to the Other Side. Please note that this review is based on the regular showing of Séance. The special, more intense, Witching Hour showing at midnight sold out immediately. We arrived 30 minutes before our scheduled start time. We spent the 30 minutes looking at items in Sinister Pointe’s Curiosity shop, where they have an interesting collection of macabre items and movie memorabilia. A gentleman, clad in Gothic garb (including a dapper top hot, flowing cloak, and walking stick), gathered us just before the séance was to start, explained the initial rules, and then took us into the room, 2 at a time. Once we were all seated, Scott Michael entered. Scott introduced himself and then had us introduce ourselves; imploring us to describe any supernatural experiences we may have had. After the introductions, he explained the rules and then began to open a door to the Other Side. 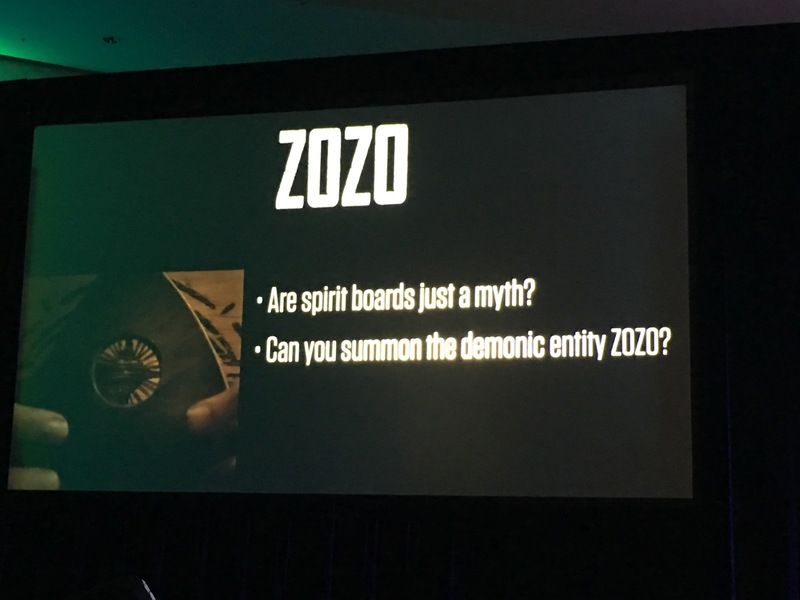 After applying several tricks to summon a spirit, a connection was made. The lights went out and the ghost was in the room. We could feel the ghost and hear its unworldly speech. Ultimately, Scott Michael communicated with the spirit and then sent it away. Once the spirit was gone, we were allowed to leave. Andy- I’ll say, they did a very nice job creating an atmosphere. Chris- I loved the atmosphere of the lobby. The smell of sage before they let us in was cool. Lola- I thought the sage was a nice touch too. They definitely played up the whole “demonic entity” mythology well. Adam- The whole set was great. Andy- From the time we got into the lobby, they set the mood just right. The music, the lighting, and the guy talking to everyone about the history of séances. It was fun. I felt that room was really neat, and wanted to see more of it, but the method of taking us in two at a time had mixed results. Chris- The chairs weren’t very comfortable though. Lola- I wasn’t uncomfortable, Chris. There was just no reason to take us in two at a time. Also, I enjoyed that guy in the lobby, but I needed a little less of him. Adam- I wouldn’t have minded the “two-at-a-time”, but it didn’t really seem to serve any purpose. Chris- I think it was meant to take us out of our comfort zones, break up big groups like us. Andy- While you guys got in first and had time to look at it, I was the last one let in and didn’t have time to look at things. Adam- But the presentation was done well. Andy- The table was really neat, but there wasn’t a real explanation for it. Lola- I think we all felt the beginning was a little slow. Andy- All the symbols were cool, but hardly talked about. Chris- Yeah. I think an explanation of each symbols makings would have been nice. Lola- Yeah, since they worked so hard on having all the symbols there, it would have been nice if they some how worked it into the story. Adam- Lola, that was my biggest complaint: I wanted all of the story to be more connected. The stories seemed a bit disparate. All kind of the connecting to spirits, but that was about it. Andy- As for Scott Michael, the medium, he did a great job introducing himself and introducing us, but it seemed a little rushed. Lola- I’ll agree with that. He was basically putting on a play, so it seemed like one over-arching story would’ve been more effective than a few unrelated ones. I sensed that he was a tad nervous… and not because of the spirits. Andy- Yes, I would have liked the tricks he was doing to tie into the overall séance more. He was nervous and stumbled a few times, but he recovered nicely. I also thought that once the main part of the séance started, it was a bit rushed and was too short. Adam- The build up to actually communicating with the spirit could’ve been fleshed out more, but once we got into it, it was fun. Chris- I think the breaking of real props was a great touch too. Having to walk out over the broken debris is a new experience. Andy- Yes, the real props were awesome. It made for a more realistic time. Lola- I’m not that impressed by a piece of string on my face in the dark. Chris- Nor the water to the face. I also couldn’t tell what the spirit was saying during the blackout. Andy- I was hoping for the lights to come back on and see the ghost or for some lighting effects. Lola- The water to the face just reminds me of a theme park ride. I liked Adam’s idea of having ectoplasm. Chris- There shouldn’t have been anything happening to our faces. Adam- It wasn’t really scary. More surprising. Andy- Then once it was over and Scott regained control, it ended abruptly. I wanted more. Lola- Yeah, I didn’t think it was going to be over so soon. Chris- Also, if the act of us joining hands to was to form a barrier, I think more things should have been happening behind us. Like a feather across the elbows, or breath on the back of my neck. Andy- I agree, Chris. Or someone being grabbed. Lola- Someone did breathe on my neck. Plus, that one girl got hit by something when things were breaking. Andy- It would have been a great opportunity to have one of the attendees be a plant in the audience, so to speak. Have one of them being possessed or disappear during the blackout. Lola- Yeah, that would’ve been wonderful. Chris- Yes, especially with two empty seats! 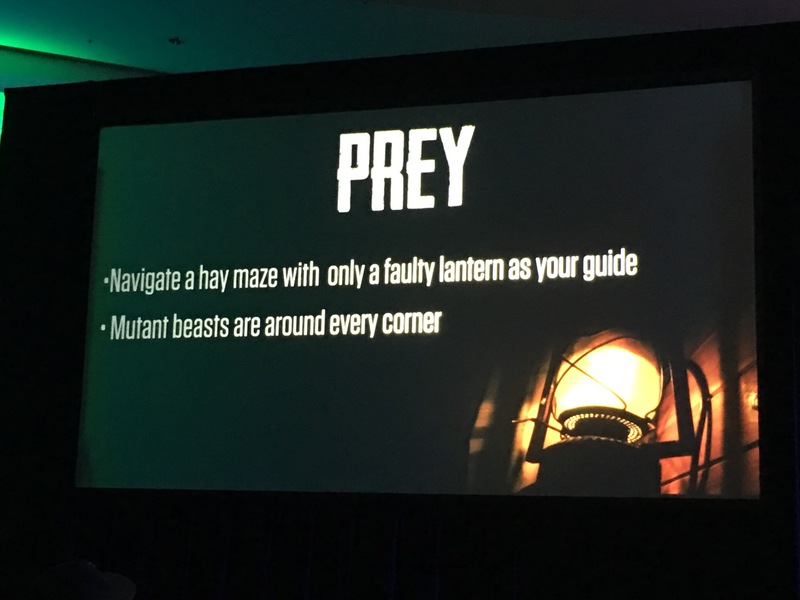 They could have a plant that was with us in the lobby. Lola- Again, we don’t know what they did during the midnight one. Andy- There were a few missed opportunities. Adam- Well, regardless, was what we saw worth it? Lola- I enjoyed it, but I don’t know if I $45 enjoyed it. Chris- I’d say so. I think it would be a great thing to take a date on. Adam- Definitely good date night. I had a good time. Left with a souvenir. I’m excited to see the next step in the evolution of the Séance. Andy- I think it was a lot of fun and I had a good time, but $45 is just a little high for what we got. Chris- I do wish there was more in the gift shop too. Maybe more books? Lola- More books would be wonderful! Adam- It’s new. It’ll grow. It seems like Séance has been popular. Lola- I’ll agree with that. I just would’ve like $25-$30 tickets better. Andy- But compared to the much higher prices of some of the other haunts, it’s definitely not horrible. Adam- No, it’s not completely out of line. Andy- Anybody have anything else they want to add? Lola- I liked how that guy called me Alice Cooper and said I was very darkness at the beginning. Andy- Ultimately, I think it was a great event that I can see only getting better and better. I think for the first time doing an event like this, they did a great job. I’m excited to see what they do with it next! I highly recommend them and I’d gladly go again! I feel that they earned the AHH Seal of Approval! Overall, we had a good time and really enjoyed it. We didn’t think it was perfect, but it was still fun and original. We are highly excited for what the future holds for Séance and we hope it continues to grow. 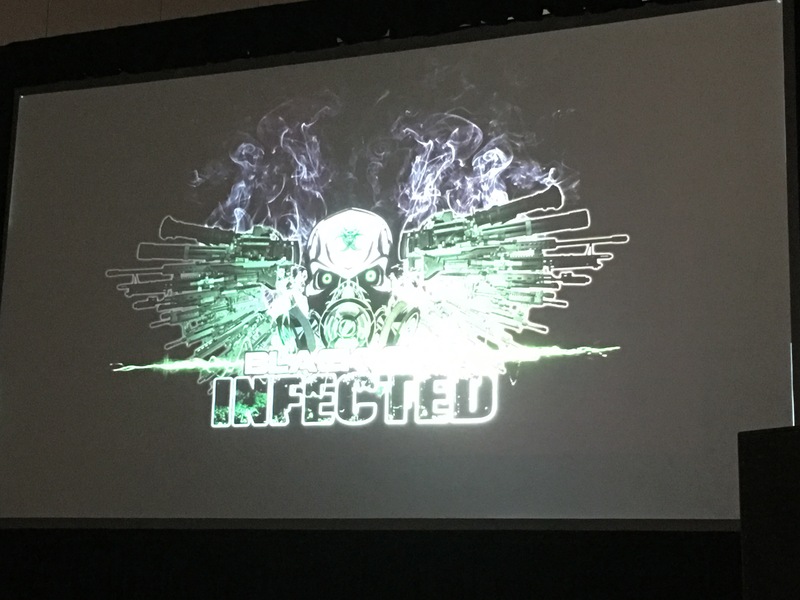 We are also excited for the next project to come out of the mind of Sinister Pointe Productions! There is only one weekend left for Séance and only a few tickets are still available. 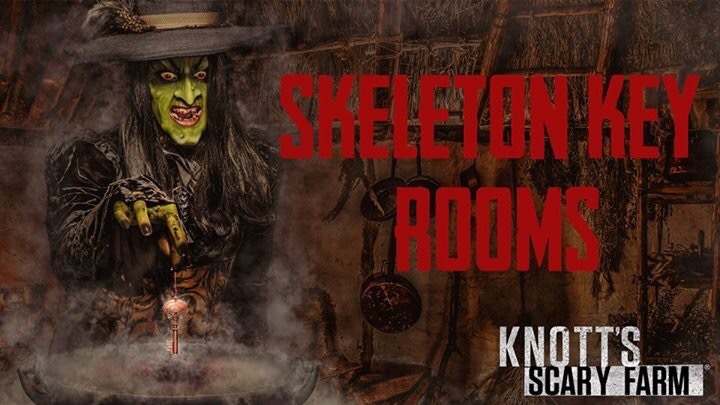 Visit their website at http://www.sinisterpointe.com to buy tickets and to get more information on Séance and other Sinister Pointe events!